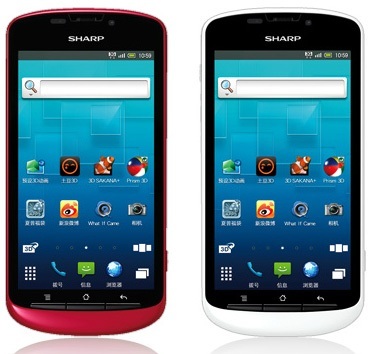 Sharp has just announced yet another glasses-free 3D mobile phone, the AQUOS SH8298U 3D in Japan. The new Aquos phone features a 1,4GHz Snapdragon CPU with Adreno 205 graphics, 512MB of RAM, and a 4.2-inch qHD display with glasses-free 3D capabilities. Dual 8MP rear cameras enable the capture of 3D content. The phone will run on Android 2.3 and come in red and white. The handset also comes with WiFi and Bluetooth connectivity, as well as with the possibility to view content from the phone straight to a TV at home. It is powered by a 1240mAh battery. The device will be launching on SoftBank in Japan. However, an exact date of availability and pricing hasn’t been revealed yet. The availability in markets is also doubtful as of now. What do you feel about this device compared to the other 3D devices like the LG Optimus 3D and the HTC EVO 3D, available in the market? Do share your views.